As students return back from break, a new restaurant awaits them on Cardinal Boulevard. Located between Quill’s coffee shop and Noodles and Company, Topp’t is a brick-oven pizza restaurant that opened a few days before Spring Break. The store has opened in the spot previously taken by Griff’s, a sports bar and grill that closed its doors in 2018. Topp’t offers handmade pizzas, wraps and chopped salads. Topp’t accepts Cardinal Cash like other eateries on campus. 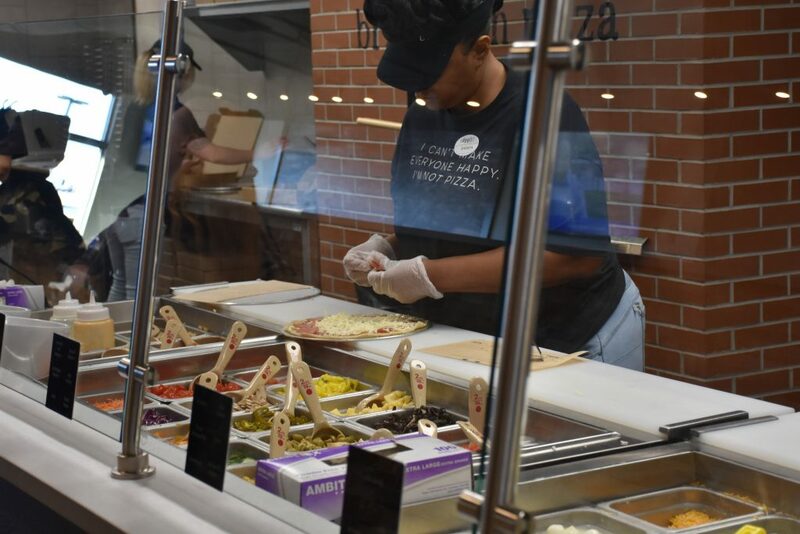 “It’s like Subway, but for pizza,” said senior psychology major Adrieaan Armstrong. The weekend before break, the store offered free pizza to their customers as part of their training weekend. Many students thought this was a great promotion on the restaurant’s part. “It was a smart business strategy to get people in to try the food,” said senior individualized major Pheonix Washington. And while most students have so far welcomed the new restaurant with open arms, there are some who compare the new restaurant to a discount Blaze, another pizza place in Louisville. “For the price, it’s okay. I don’t like that drinks are separate because it isn’t stated anywhere,” said Washington. However, for Armstrong the convenience and quality of the food is perfect. “The food is probably the best on campus and it’s affordable for students on a budget but still want good food,” Armstrong said.